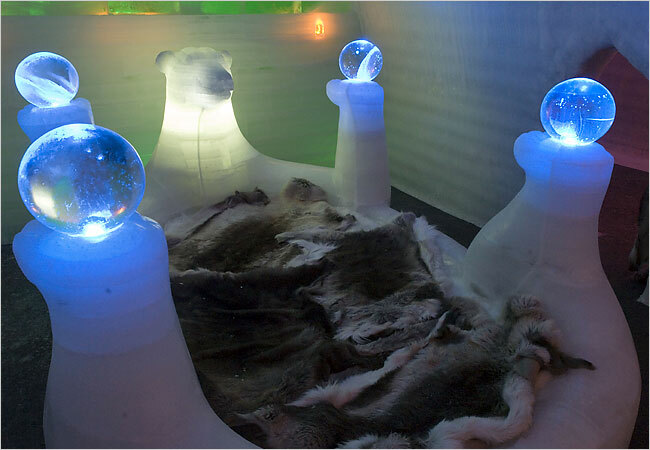 is possible to have a warm body and frozen hair at the same time. 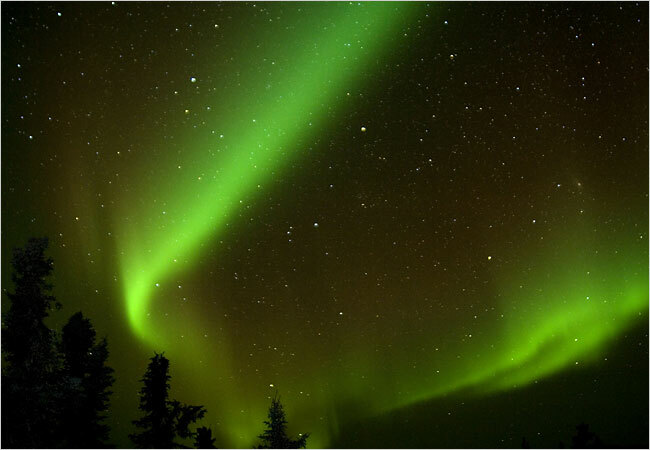 the best chance for viewing the Northern Lights. 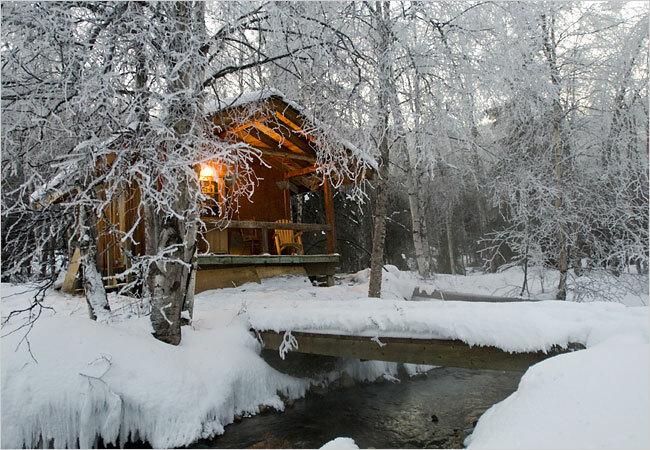 A cabin at Chena Hot Springs beside a warm stream. 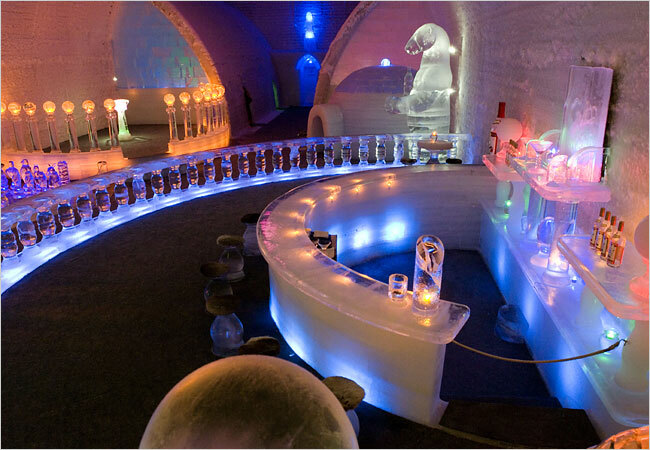 The ice bar at the Ice Hotel, where patrons can sip icy drinks in ice glasses. 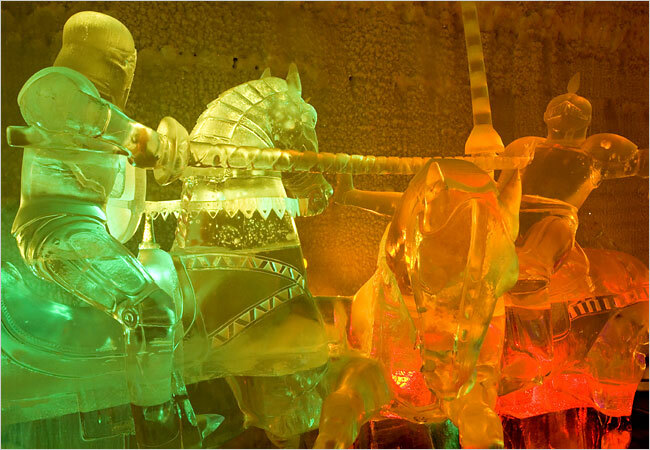 Some sculptures in the Ice Museum and the hotel have a medieval theme. 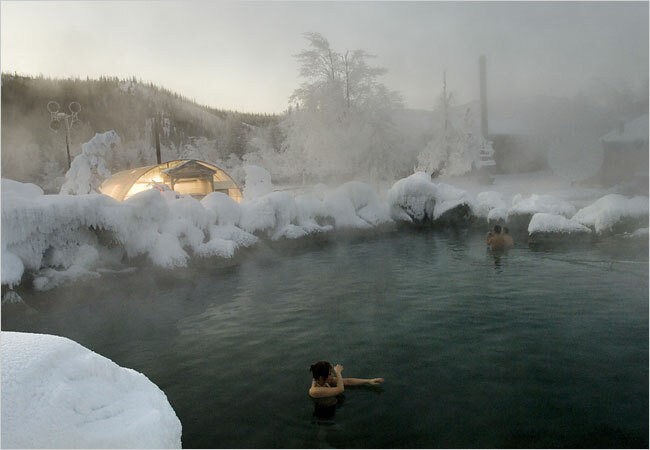 passes to the nearby hot springs and a backup room in the resort’s 82-room Moose Lodge. 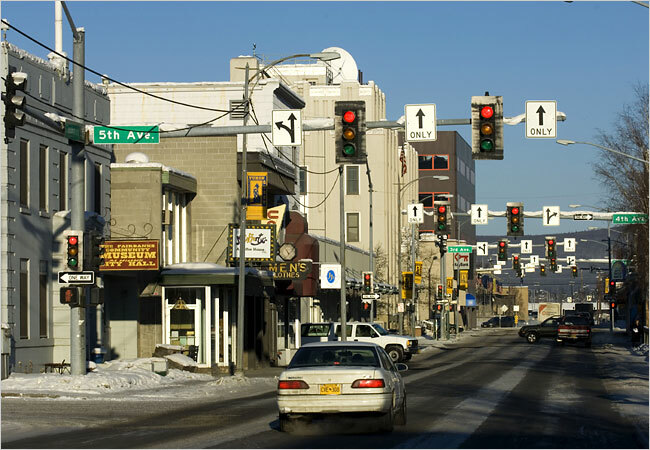 destination for aurora followers. Still, the town appears deserted at midday. Women stay warm as they wait for the lights to appear. 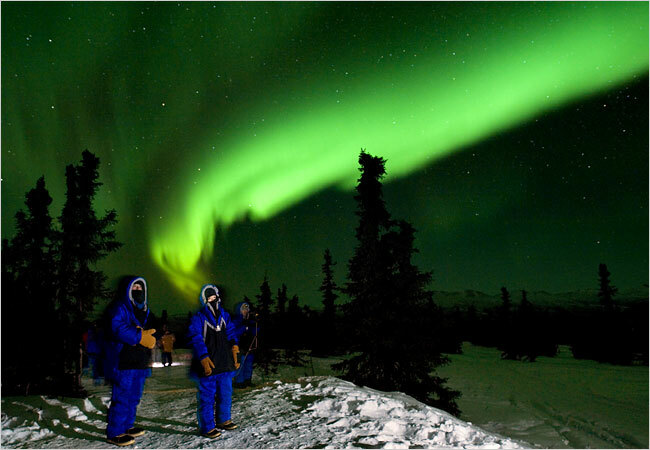 Japanese tourists watch the aurora borealis.